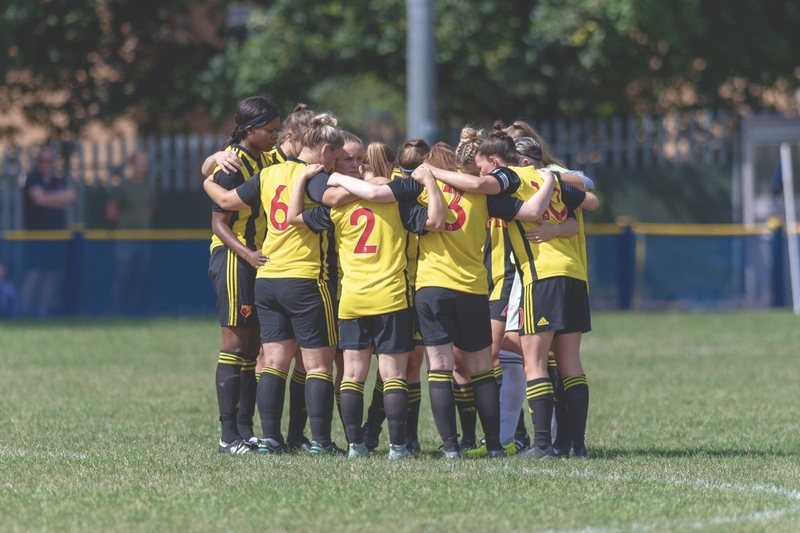 In the latest of our special series of features showcasing teams playing at all levels of women’s football, Danielle Scanlon introduces us to Watford FC Ladies. Firstly, can you tell us about yourself and your role within the club? 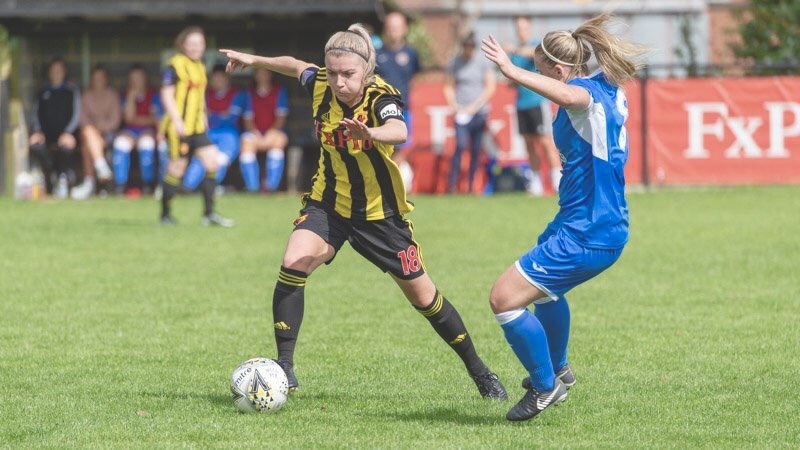 I joined Watford FC Ladies at the beginning of this season after coming back from a long-term knee injury which kept me away from competitive football for almost 18 months. I am a centre-midfielder with more of a holding role in the team but my GPS stats reveal that I like to get around the pitch quite a bit. What league is your club in and what are the aspirations for the season? 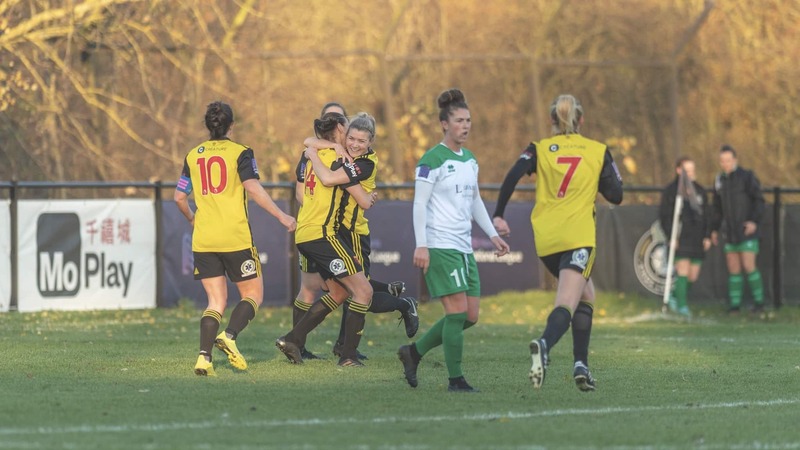 We play in the FA Women’s National League (Southern Division) – Our aim from the beginning of the season has been to challenge for the league title. You’re certainly doing that, especially after your win against Chichester last week. Where can we see you play your home games this season? We play our home games at Kings Langley FC (Kings Langley, Hertfordshire). 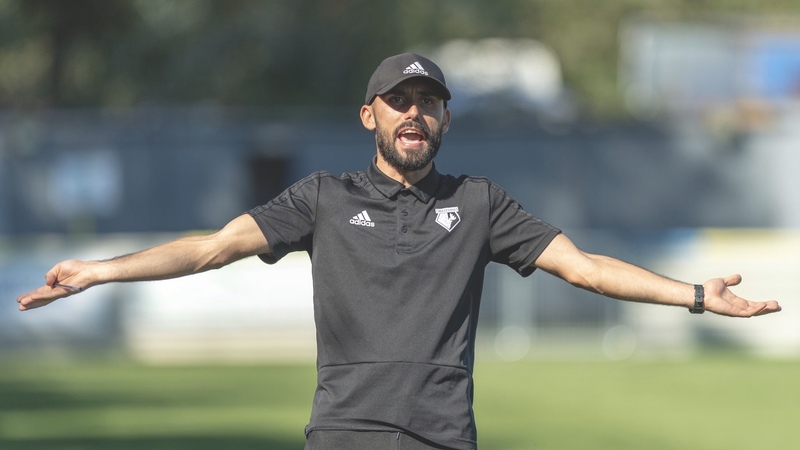 Armand Kavaja is the boss… and Clint & Pablo complete the coaching trio. Armand is a knowledgeable coach and very passionate. Watford was a completely fresh start for me and it was nice to have a clean slate; when I arrived I didn’t know the coaching staff and they didn’t know me as a player but I felt welcomed from the start and I was impressed by the staff’s professionalism and the overall organisation. Our training sessions are always fresh and relevant to upcoming games. There’s always a good atmosphere around the training ground and the coaches play a key part in that. We have a favoured formation but sometimes it is tweaked depending on our opposition or on how a particular game is going. What’s important is that we all understand our roles, whichever way we set-up as a team. Our club captain is Helen Ward. Helen brings invaluable experience to the side and I suppose it’s handy that she’s a natural goal scorer (all-time top goal scorer for Wales). She brings our squad’s average age up a few years which makes me feel a bit better. Joking apart, she’s a leader and well respected by everyone in the squad, including myself. Helen Ward – did I mention Wales all-time top goal scorer, so I’d expect nothing less! To be fair, we aren’t shy of a goal scorer, we had 6 different goal scorers in one game (in a 6-2 victory this season) which is promising and proves that we are not reliant on Helen. We’ve got a lot of ability going forward but my money would be on Helen to come out on top. It’s tough to pick one player but if I had to name one, it would have to be our goalkeeper, V (Weronika Baranowska). We have demonstrated numerous times (as a team) that we are creative going forward and we can score goals but our defence and V have been key in every game. V has produced some top saves to keep us in games and her presence is always reassuring. We have a fairly young squad if you exclude myself and the couple who are older than me, no names mentioned! Many players have just stepped up to consistent first team football at this level and nobody looks out of place. To name a few of the youngest; Katie Akerman, Amy Martin, Anaisa Harney and Hattie Kettle. Amy is another top goalkeeper who has been outstanding for us in V’s absence this season. 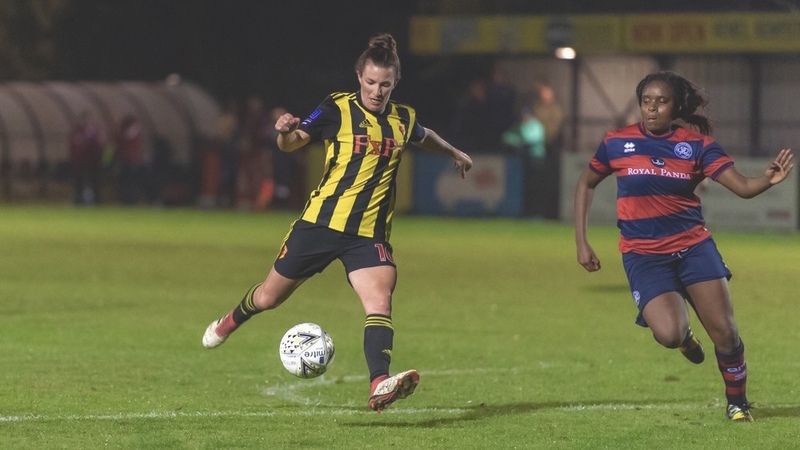 You can follow our progress (and almost every move) on Twitter and Instagram: @watfordfcladies.